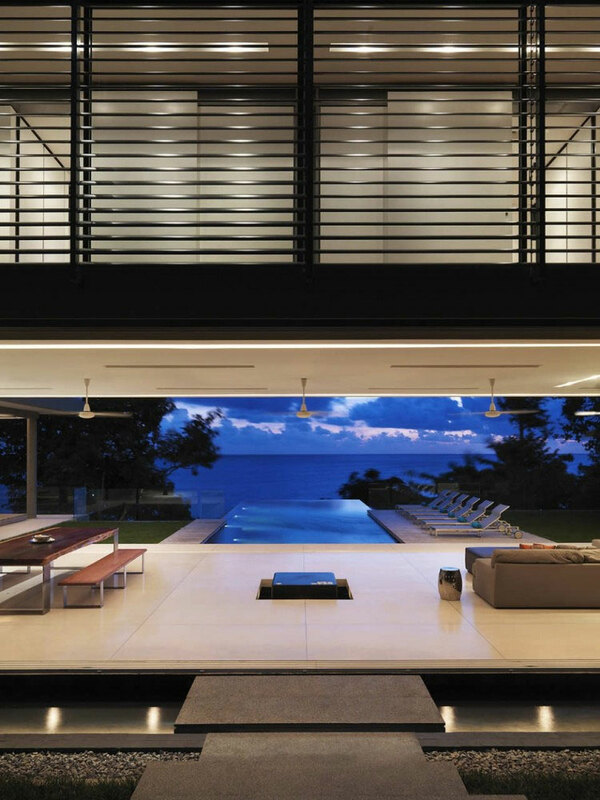 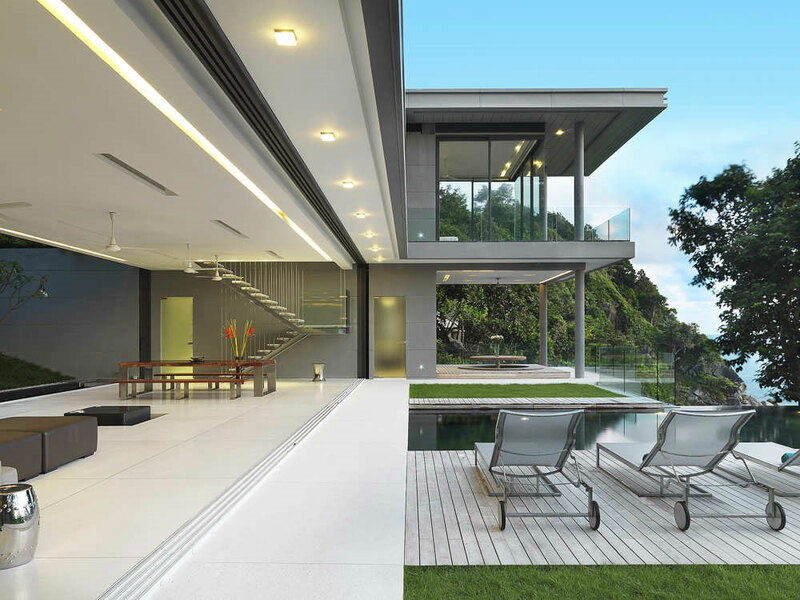 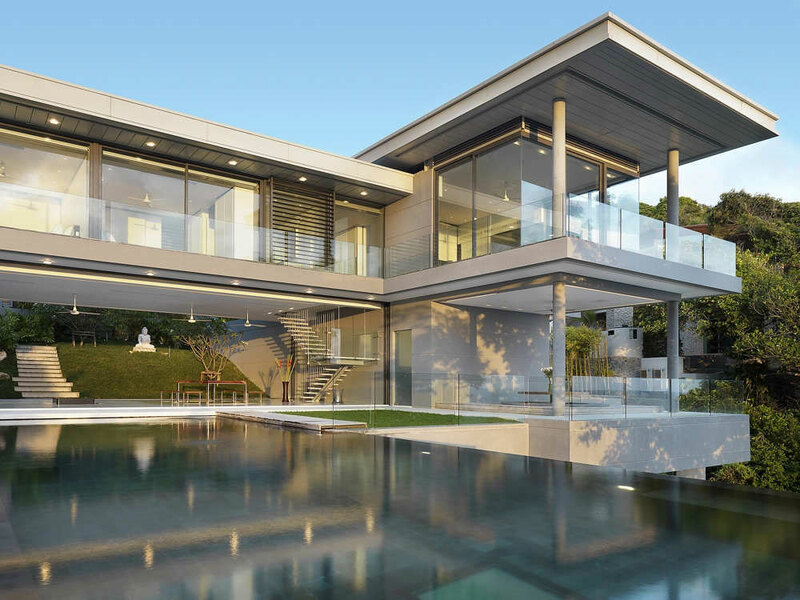 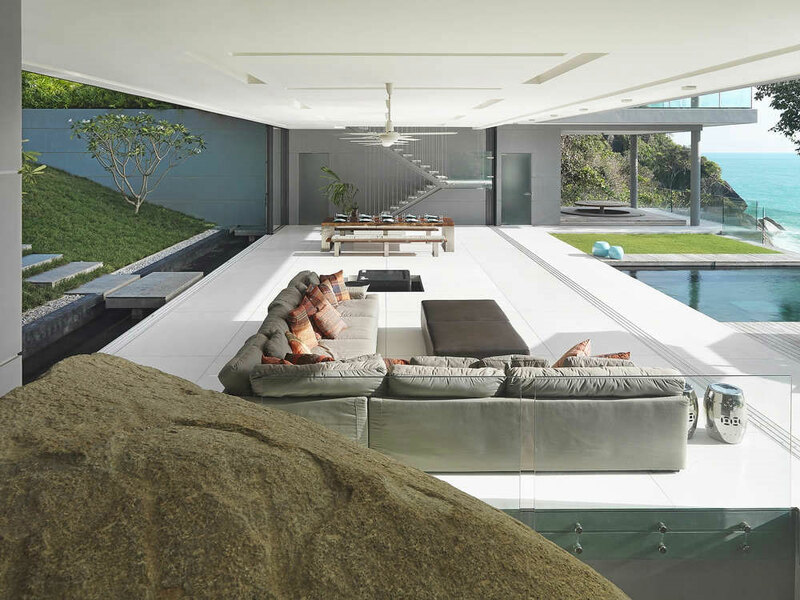 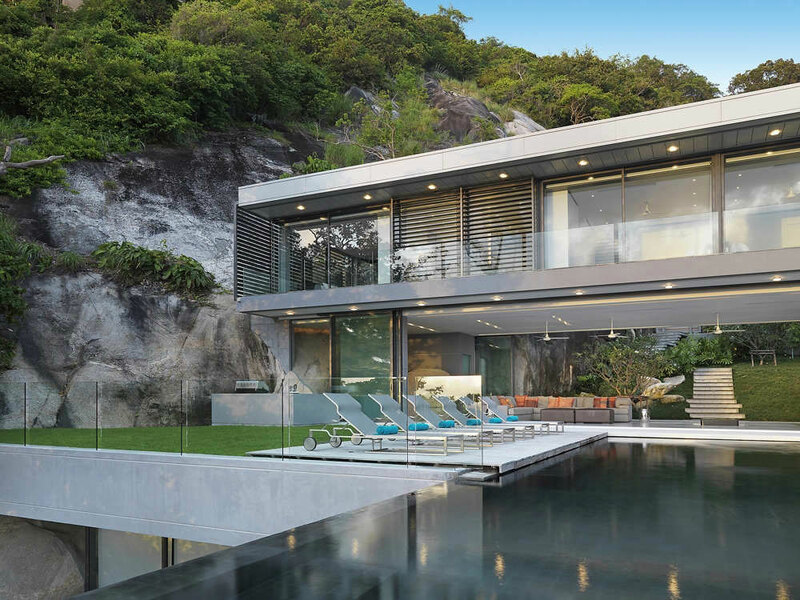 Villa Amanzi was completed in 2008 by the Hong Kong based firm Original Vision Studio. 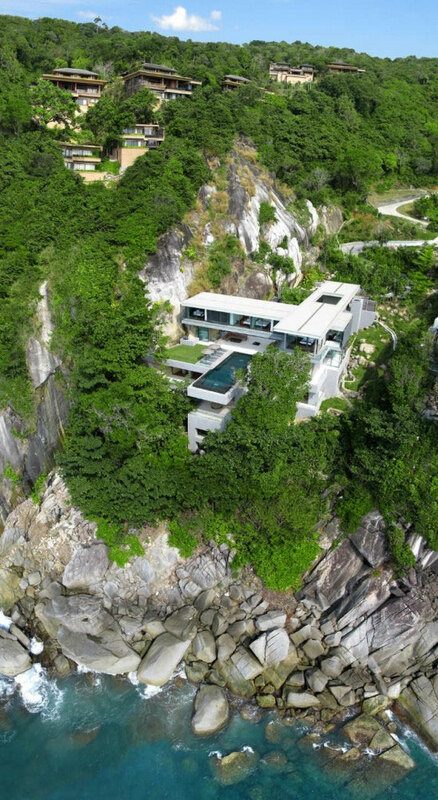 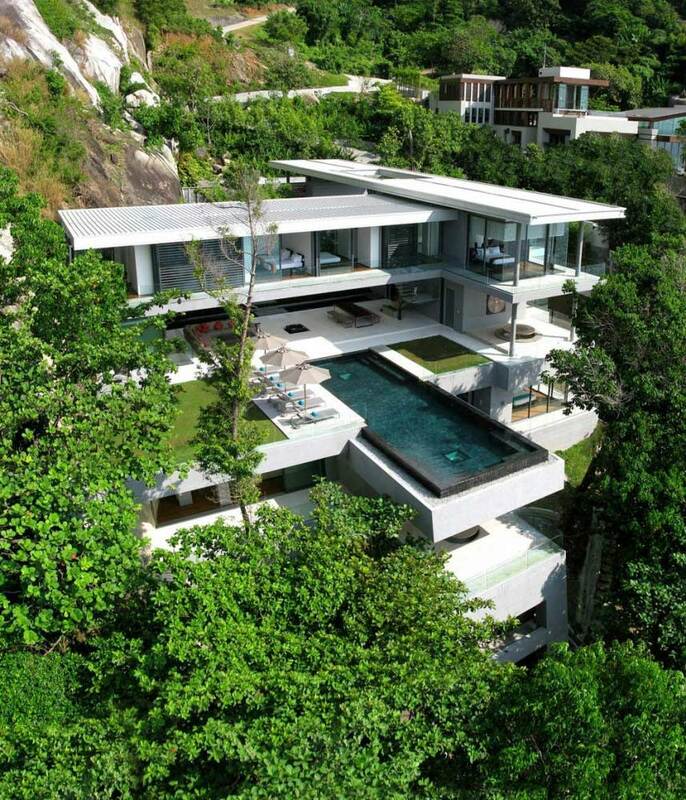 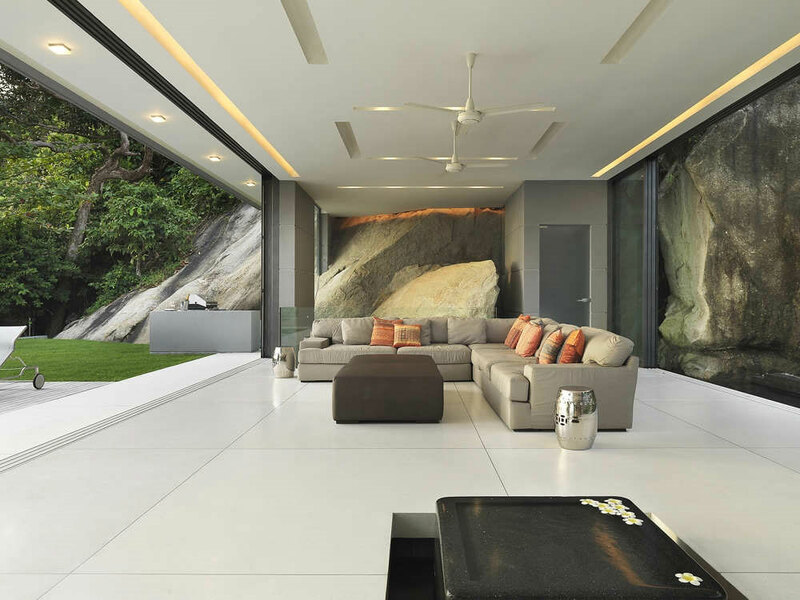 This 8,611 square foot modern villa is perched on the face of a steep cliff, natural rock protrudes into the living spaces. 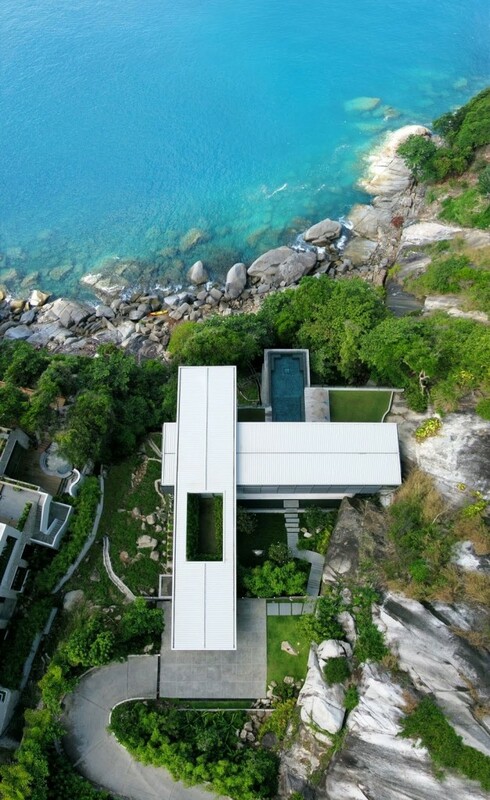 The fabulous 15m pool is cantilevered over the spa area below. 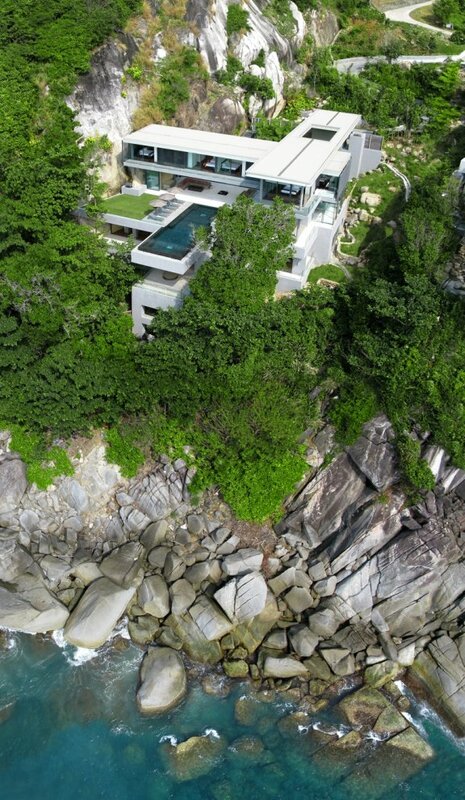 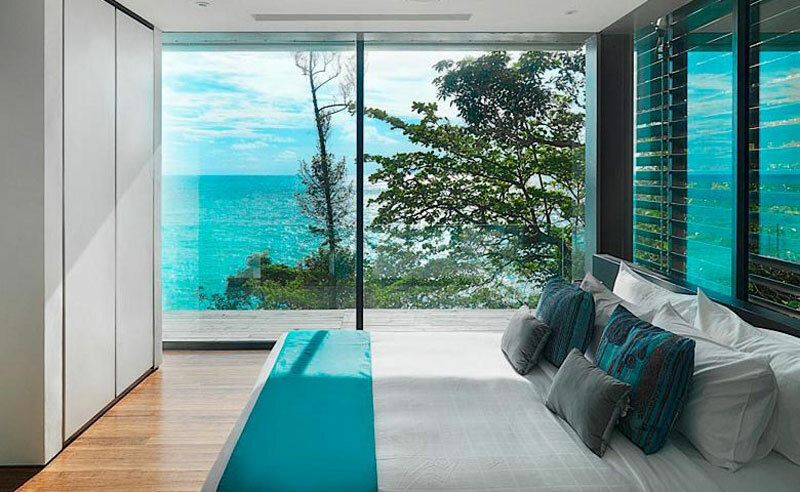 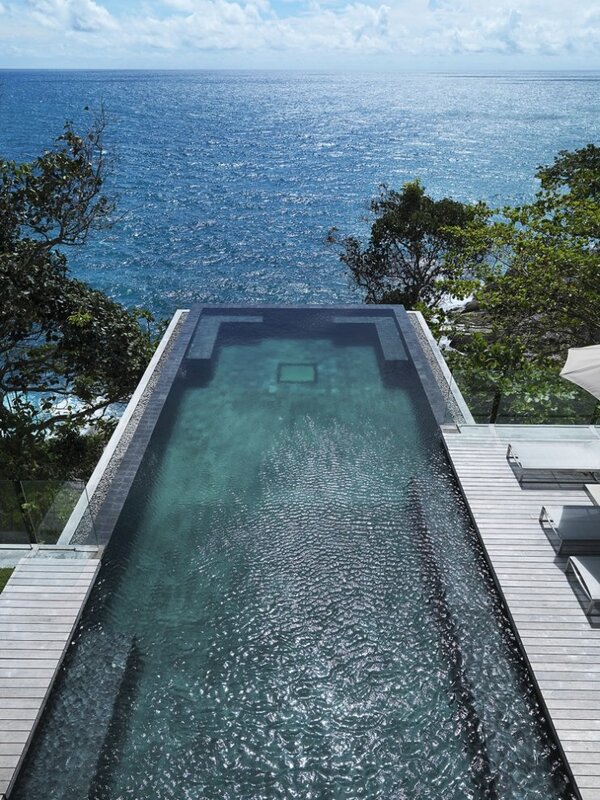 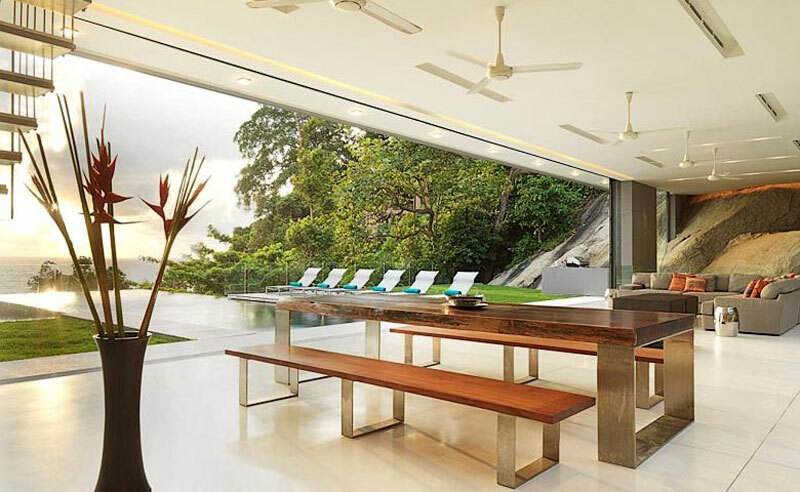 Villa Amanzi is located in the exclusive Cape Sol on the West coast of Phuket, Thailand. 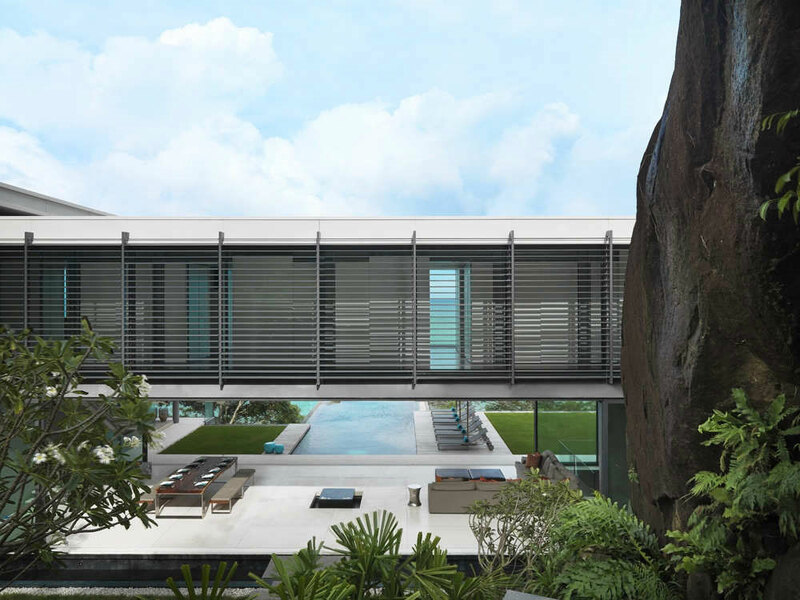 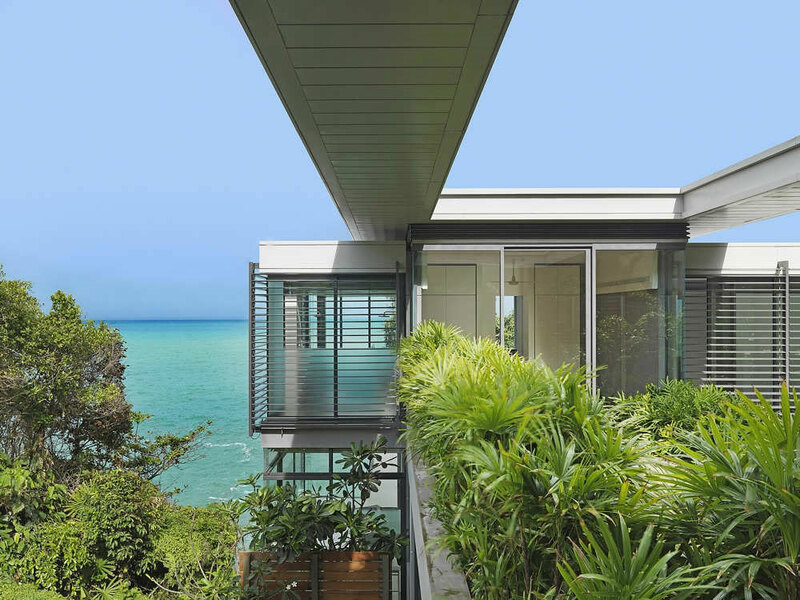 “Nestled in a cascading, west facing ravine with a dramatic slab of rock defining the northern edge and a stunning outlook over the azure blue of the Andaman Sea to the south, our commission; to do this demanding but ultimately spectacular site justice, was both daunting and exciting.